The Las Vegas Strip is known for romantic restaurants that offer spectacular views, luxurious atmosphere, outstanding food and specialty cocktails. 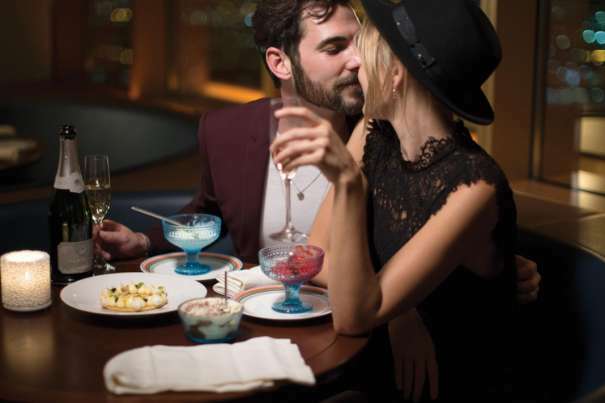 Nothing would ensure a romantic evening out like the award-winning restaurants at MGM Resorts because that is the way to experience the best of Las Vegas dining. 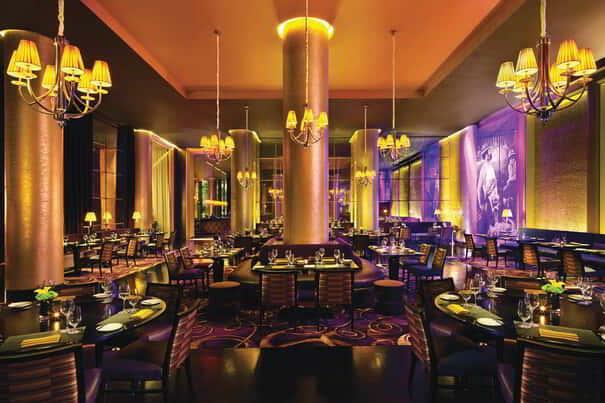 Here are our selections for the most romantic restaurants on The Strip. Tour the bolder side of Italy at LAGO by Julian Serrano. Featuring floor-to-ceiling panoramic windows, LAGO’s dining room ensures you will have the most spectacular views of the resort’s iconic Fountains of Bellagio. Adjacent to the dining room, an open-air patio offers breathtaking waterfront seating centered on Lake Bellagio. Surrounded by exquisite décor, you’ll enjoy a singular experience perusing Chef Serrano’s menu of creative, signature flavors. Select from soups, salads, crostinis, and focaccia, along with refreshing meat, seafood and vegetarian plates designed for sharing. 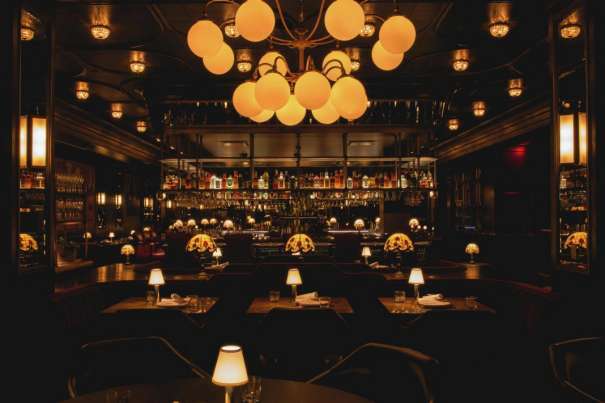 Newly opened at Park MGM, Bavette’s Steakhouse & Bar intimate space filled with glowing chandeliers, sultry jazz, rich woods, and red banquettes will transport you back in time when life was fun, simple and the liquor flowed freely. Featuring a wall mixed with vintage art and murals, this acclaimed Chicago classic offers a stylish departure from a traditional steakhouse and embraces French flair without the formality, blending fine dining with unabashed fun. Indulge in timeless steakhouse fare, including richly flavorful ribeye’s, fresh seafood towers, zestfully seasoned lamb chops, traditional side dishes, and house made desserts. This sophisticated yet comfortable retaurant features a beautifully designed dining room with rich purple tones, gold pillars, brass chandeliers, floor-to-ceiling wine towers, and hand-painted murals. 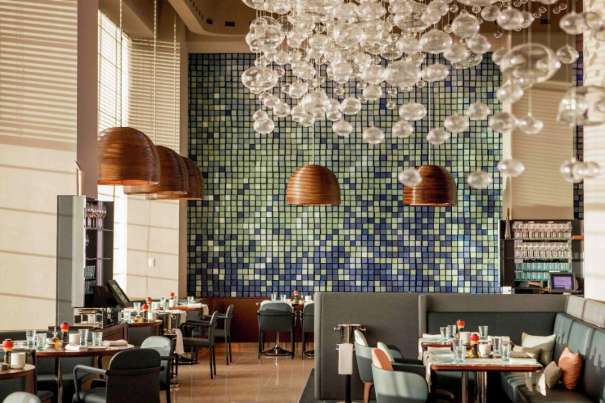 Infusing contemporary American cuisine with Mediterranean ingredients, Sage uses the freshest farm-to-table dishes, artisanal meats and sustainable seafood. Guests can expect a memorable culinary experience with unique dishes such as Kusshi Oysters in an aged tequila mignonette, roasted veal sweetbreads, and roasted scallops with braised oxtail and wild mushrooms. 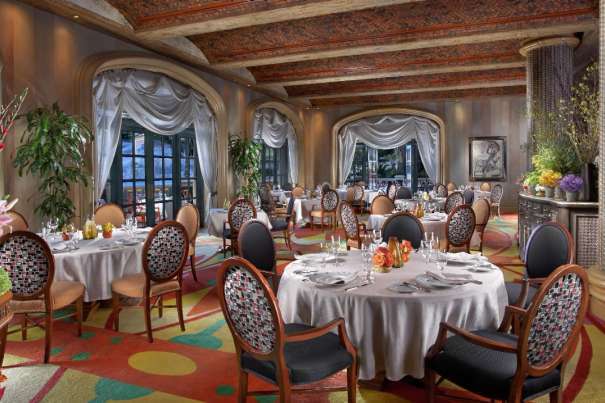 Pablo Picasso’s renowned paintings and charming ceramic pieces grace the walls of this Forbes Travel Guide 5 Star rated restaurant located at the Bellagio Hotel. Boasting a wine cellar stocked with more than 1500 selections from the finest European vineyards and incredible dishes inspired by the regional cuisine of Spain as well as France, Picasso is where you dine to impress that special someone. Rivaled only by the stunning outdoor patio space overlooking the romantic artistry of the Fountains of Bellagio, the interior of Picasso will give you the feeling that you are sitting inside a work of art. We recommend trying the seasonal truffle menu that includes creamy Arborio risotto, butternut squash ravioli and prime filet mignon – all paired with wine selections from Spain, Italy and Germany. 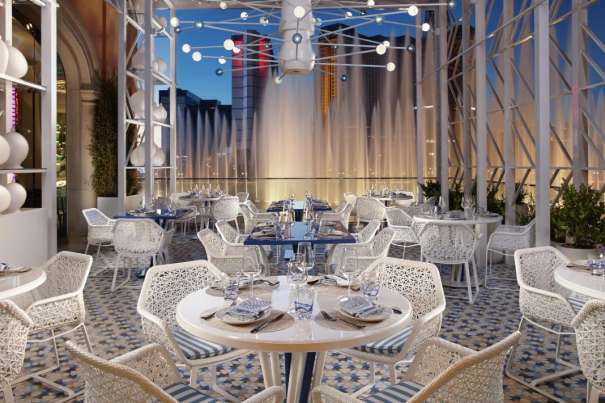 Located on the 64th floor of the Delano Las Vegas, Rivea features a relaxed, laid back atmosphere of white and maritime blues as well as a spectacular view of The Strip. Its carefree and vibrant menu, focused on simple and fresh plates takes diners on a journey to the French and Italian Riviera with menu items inspired by the delectable food markets of Provence and Italy. We recommend trying Rivea’s To Share menu filled with Rivea specialties; Marinated Sea Bass, Lobster Risotto, and Porcini & Ricotta Ravioli. Once you have finished your dinner, head over to Skyfall Lounge that is adjacent to the restaurant and enjoy a cocktail while enjoying the 180-degree views of The Strip.